Creativity, Inc. is a book for managers who want to lead their employees to new heights, a manual for anyone who strives for originality, and the first-ev From Ed Catmull, co-founder (with Steve Jobs and John Lasseter) of Pixar Animation Studios, comes an incisive book about creativity in business—sure to appeal to readers of Daniel Pink, Tom Peters, and Chip and Dan Heath. For nearly twenty years, Pixar has dominated the world of animation, producing such beloved films as the Toy Story trilogy, Monsters, Inc., Finding Nemo, The Incredibles, Up, and WALL-E, which have gone on to set box-office records and garner twenty-seven Academy Awards. The joyousness of the storytelling, the inventive plots, the emotional authenticity: In some ways, Pixar movies are an object lesson in what creativity really is. Now, in this book, Catmull reveals the ideals and techniques that have made Pixar so widely admired—and so profitable. To ask other readers questions about Creativity, Inc., please sign up. Dear fellow readers, Is there anybody who can recommend a book with a similar perspective as this one: Leadership in a creative environment? What is the most useful thing you learned from this book? Jean If you're hearing the truth in hallways, not meetings, you've got a problem. For those unfamiliar with Ed Catmull, he is best known as the president of both Pixar and Disney Animation Studios. Full disclosure: I work for the latter. Before I came to work at Disney, I knew of Ed Catmull as a technological innovator in the field of computer graphics and animation. He was essential in the development of the alpha channel, z-buffer, texture mapping, and a number of other technologies that make digital animation possible. After years of problem solving in the technical space, For those unfamiliar with Ed Catmull, he is best known as the president of both Pixar and Disney Animation Studios. Full disclosure: I work for the latter. Before I came to work at Disney, I knew of Ed Catmull as a technological innovator in the field of computer graphics and animation. He was essential in the development of the alpha channel, z-buffer, texture mapping, and a number of other technologies that make digital animation possible. After years of problem solving in the technical space, he found himself in charge of a thriving company (Pixar) and devoted his problem solving acumen to management and the problem of keeping creativity alive. This book is a record of that effort, his successes, his failures, and the lessons he learned along the way. I haven't read much in the way of management books, so it's hard for me to compare Creativity, Inc. with others in that field, but Catmull has a particular advantage when it comes to credentials and credibility. Pixar has released 14 animated features; every single one of them a box office phenomenon, and Pixar enjoys the most consistent critical success of any studio. Similarly, Disney Animation has seen a resurgence under Ed's and John Lasseter's leadership, with an ever-improving slate of hits. What makes those statistics so impressive is that creativity is a legendarily fickle beast: success often leads to complacency, what-worked-before is encoded as rule and takes away the flexibility to innovate, population and budgets get blown out of proportion until the constraints that provided inspiration disappear, and as a result creative streaks tend to be frustratingly unsustainable. Ed Catmull shares the story of his early days in computer graphics and his uncertain transition into management, giving specific examples of things that worked and did not work. There are numerous anecdotes about his interactions with Steve Jobs and the various directors at Pixar, and deep reflection on the roles of personality, pride, bias, objectivity, failure, success, teamwork and the various permutations thereof. Eventually Pixar is acquired by Disney, with the unusual result of Ed and John being placed in charge of Disney Animation. This provides a test bed to try Pixar's management philosophy out on a new population of talented but struggling filmmakers. The conclusion is that there are no easy answers or set rules for keeping creativity alive. Anything that can be stated as a maxim is already half-way obsolete as the repeated words become divorced from the reality of the situation. Instead, creativity requires constant vigilance: searching oneself for biases, trying things in new ways, picking talented people and allowing them to have a voice, keeping your communications open and independent of your organizational structure, knowing when to cut your losses in the interest of pursuing excellence, failing often and not seeing failure as something to be protected against, and so on. I can't summarize all the insights, and their explanations are helpful - so read the book! People first, story second: great advice for managing a business. Interesting to hear Pixar's history told first-hand, as was Catmull's interactions with Steve Jobs. Audiobook narrator is super good! Creativity, Inc.: Overcoming the Unseen Forces That Stand in the Way of True Inspiration is by Ed Catmull, the founder of Pixar. As his career progressed and Pixar continued to grow, Ed learned the type of leader he wanted to be and how to foster a culture that perpetually promotes and encourages creativity. He shares many characteristics of such a culture in this book. Ed knew early on he wanted to work in computer animation and make a movie by doing so. He was enthralled with Walt Disney as a Creativity, Inc.: Overcoming the Unseen Forces That Stand in the Way of True Inspiration is by Ed Catmull, the founder of Pixar. As his career progressed and Pixar continued to grow, Ed learned the type of leader he wanted to be and how to foster a culture that perpetually promotes and encourages creativity. He shares many characteristics of such a culture in this book. Ed knew early on he wanted to work in computer animation and make a movie by doing so. He was enthralled with Walt Disney as a kid. In college he was tasked with pitching a type of employee exchange program to Disney, with the University of Utah. Disney wasn’t interested but attempted to hire Catmull to be part of Disney Imagineering, the division that builds Disney’s theme parks. Ed refused the offer immediately as this wasn’t what he wanted to do. While Disney Imagineering sounds cool in theory, this story, shared very early on in Creativity, Inc. resonated with me, and only enhanced my respect for Ed. So many times when I was finishing up grad school or a new grad shortly after, looking for a job, people would say “Just take whatever they give you; it’s good to just get in the door., etc.” and while sometimes this may be true for people, I resisted - hard. I knew what I wanted to do. There was no indecisiveness or uncertainty. Ed appears to have felt the same way and I admire people who stick to their vision. Ed worked for George Lucas at Lucasfilm before going on to create Pixar, which struggled initially, and was saved by Steve Jobs purchasing it and pumping in tons of money to keep it afloat. Ed and Steve’s mutual respect for each other is apparent throughout the book. 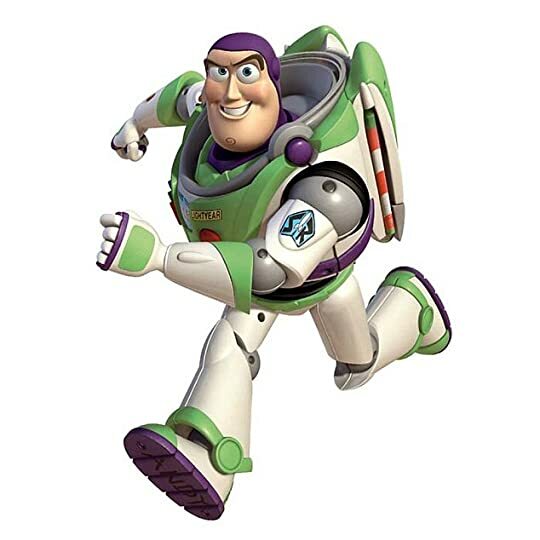 Pixar’s first movie, a total hit, was Toy Story - One of my personal favorite movies from childhood. I really enjoyed reading about the creation and development of many wonderful movies Pixar has created, as well as the lessons learned along the way. In addition to Toy Story, other personal favorites are Up and Inside Out. - Artists are often taught ways to see more by training their minds’ to turn off the tendency to jump to conclusions. For example, instead of getting frustrated by perfecting the task of drawing a chair, the artist may be asked to draw the negative space(s) surrounding the chair. You can teach your brain to observe other things without letting preconceptions interfere. - Look at various viewpoints being offered as additive, rather than competitive. A competitive approach measures other ideas against your own, creating a debate to be won or lost. An additive approach starts with acknowledging that each participant contributes something, even if it’s an idea that ultimately doesn’t work, but fuels the discussion. - Failure is often used as a weapon instead of an agent of learning. The politics surrounding failure can frequently impede progress. ”Being open about problems is the first step toward learning from them.” Fear can’t be completely driven out in a high stakes game, but we should loosen its grip. Recommend this highly for anyone who works in a technology or creative field. Pixars track records is unparalleled - 14 movies and all of them have been massive hits. I had two important takeaways from this book: how to build a great, lasting culture, and how to build a creative company. Catmull's philosophy both around creating movies and managing his company, is to be relentless about remembering that he doesn't know what he doesn't know. In creating a movie, you don't know what it will be when Recommend this highly for anyone who works in a technology or creative field. Pixars track records is unparalleled - 14 movies and all of them have been massive hits. I had two important takeaways from this book: how to build a great, lasting culture, and how to build a creative company. Catmull's philosophy both around creating movies and managing his company, is to be relentless about remembering that he doesn't know what he doesn't know. In creating a movie, you don't know what it will be when you start. In creating a company, you similarly don't know what it will be, especially at first. But equally importantly when you are scaling it, you don't know the dynamics of what is happening throughout the company - you will have a filtered view based on the (always) incomplete picture you can see. So you have to relentlessly have the mindset to remember that there are dynamics at play that you don't know, and look for them. "I believe the best managers acknowledge and make room for what they do not know—not just because humility is a virtue but because until one adopts that mindset, the most striking breakthroughs cannot occur." So how did Pixar build 14 hits in a row? They created a highly leveraged feedback loop. They created a culture of open feedback, and encourage anyone in the room - regardless of rank - to have an equal voice. They have lots of ways to get feedback on the film and iterate on it: from daily standup every morning to review scenes, up to braintrust meetings with all the best directors and creative minds to review the story. They spend a lot of time - years - iterating on and nailing the story before putting it into production - and even then they keep iterating. Nothing trumps good story. "The first step is to teach them that everyone at Pixar shows incomplete work, and everyone is free to make suggestions. When they realize this, the embarrassment goes away—and when the embarrassment goes away, people become more creative." "in Japanese Zen, that idea of not being constrained by what we already know is called “beginner’s mind.” And people practice for years to recapture and keep ahold of it." I loved the concept of "the beast" - which is the trap of needing to continue to succeed a higher and higher levels. “It is one of life’s cruel ironies that when it comes to feeding the Beast, success only creates more pressure to hurry up and succeed again.” An important point to this was that feeding the beast means bigger and better, and taking less risks. To create something new, you have to have the right leadership to shelter the seed and let it grow. I read this because I'm an artist, but I loved it because I'm a manager. Whether you're a computer science history buff, a fan of Pixar or Disney, an aspiring animator, an entrepreneur, an artist, or manager, you'll get something great out of this book. One of the best business books I've read in a long time. Es un libro mucho más técnico de lo que estoy acostumbrada, pero aún así sigue siendo una lectura que habría acabado en mi mesilla por placer. Ed Catmull convierte la historia de Pixar y cuanto ha aprendido al frente de la empresa sobre la creatividad y el trabajo en equipo en un relato apasionante y en ocasiones incluso poético. He aprendido y he disfrutado cada página. No se puede pedir menos de Pixar. I was reading this more for the creativity angle than the story-of-a-company angle, so I definitely skimmed some of the Pixar story. I read bits of this to the group of library faculty and staff that I supervise, and we had a great conversation about our current and upcoming "ugly babies." "Originality is fragile. And, in its first moments, it's often far from pretty. This is why I call early mock-ups of our films "ugly babies. They are not beautiful, miniature versions of the adults they will g I was reading this more for the creativity angle than the story-of-a-company angle, so I definitely skimmed some of the Pixar story. I read bits of this to the group of library faculty and staff that I supervise, and we had a great conversation about our current and upcoming "ugly babies." "Originality is fragile. And, in its first moments, it's often far from pretty. This is why I call early mock-ups of our films "ugly babies. They are not beautiful, miniature versions of the adults they will grow up to be. They are truly ugly: awkward and unformed, vulnerable and incomplete. They need nurturing - in the form of time and patience - in order to grow. ... Our job is to protect our babies from being judged too quickly. Our job is to protect the new." "Managers of creative enterprises must hold lightly to goals and firmly to intentions." "The goal is to place one foot on either side of the door - one grounded in what we know, what wer are confident about, our areas of expertise, the people and processes we can count on - and the other in the unknown, where things are murky, unseen, or uncreated." "Give a good idea to a mediocre team, and they will screw it up. Give a mediocre idea to a great team, and they will either fix it or come up with something better. If you get the team right, chances are that they'll get the ideas right." "If there are people in your organization who feel they are not free to suggest ideas, you lose. Do not discount ideas from unexpected sources. Inspiration can, and does, come from anywhere." "It isn't enough merely to be open to ideas from others. Engaging the collective brainpower of the people you work with is an active, ongoing process." This book was equal parts "Management Theory Text" and "Memoirs of an Unconventional CEO" with a healthy dose of "My Business Relationship with Steve Jobs" and while that may sound a bit scattered or even dry, this work is neither. Catmull manages to sprinkle the above seasonings into the broth in precisely the correct measurements to create an insightful and enjoyable stew. Often mentioned in the text is his continued education, often through trial and error, about effectively managing creative This book was equal parts "Management Theory Text" and "Memoirs of an Unconventional CEO" with a healthy dose of "My Business Relationship with Steve Jobs" and while that may sound a bit scattered or even dry, this work is neither. Catmull manages to sprinkle the above seasonings into the broth in precisely the correct measurements to create an insightful and enjoyable stew. What this book is: a managerial how-to on fostering creativity, productivity and work/ life balance in the office. What this book is not: a guidebook of creative inspiration for regular everyday DIYers who work alone. The ideas are cut and dry and pretty simplistic for being, ostensibly, a manager's book on creativity. Although this book isn't a memoir, there is a very brief gloss-over on Ed Catmull's family, childhood and education. There are interesting details on Pixar's promising yet rocky What this book is: a managerial how-to on fostering creativity, productivity and work/ life balance in the office. There are interesting details on Pixar's promising yet rocky start, Steve Jobs and his explosive personality, the financial difficulties Pixar endured in its beginning years, and the Disney takeover. -- Change and uncertainty are part of life. Don't resist change; build the capability to recover when unexpected events occur. -- Failure is a necessary consequence of doing something new. -- Don't fall for the illusion that by preventing errors, you won't have errors to fix. The cost of preventing errors is often far greater than the cost of fixing them. A wonderful and insightful story, loved everything about this book and I am definitely buying a hard back copy so I can underline some of the lessons. Ed is a great story teller and a pretty good psychologist. Many business books are straight to the point :"Take risks!" "Believe in yourself" etc., but Creative, Inc. dives even deeper into the true meaning of "leadership". This is one of this books that you find yourself referencing in conversations on a regular basis. It's a mistake to think of this as a book for managing a workforce that needs to be creative, or a way to make your company more creative. For me, it was more about that messy business of leading and managing people. It's messy due to the different personalities and the mixed perspectives each person has. Add in that there is so much information which is naturally hidden to each person and the situa This is one of this books that you find yourself referencing in conversations on a regular basis. It's a mistake to think of this as a book for managing a workforce that needs to be creative, or a way to make your company more creative. For me, it was more about that messy business of leading and managing people. It's messy due to the different personalities and the mixed perspectives each person has. Add in that there is so much information which is naturally hidden to each person and the situation is always evolving. "Change is going to happen, whether we like it or not." And somehow, we all need to get on the same train and start laying tracks in the same direction, often without a clear idea of the landscape we need to get through. I loved how Ed wanted to show the warts and all side of Pixar. He shared the challenges and struggles but his clear message is that this is normal. It's how you seek to solve them, the desire to find the inspiration whether to solve a story line that's bombing, a technical challenge that has never been done before or breaking through a "this can't be done in the time you want it" logjam. For Ed, "the unpredictable is the ground on which creativity occurs." It was really interesting reading the different mental models Pixar people used to deal with those times when everything looks the darkest, as a way to "keep fear in its place." As Ed says "The models in our heads embolden us as we whistle through the dark. Not only that, they enable us to do the exhilarating and difficult work of navigating the unknown." One small note: the beginning was a bit boring for me. Once I got to Chapter 3, I was hooked! Look Heino, I finally finished the book! In trying to come up with descriptions of how this book is written, I keep thinking of the word "earnest". Ed Catmull, the president of Pixar and Disney Animation, comes across as an earnest guy trying to do the best job he can. And as part of his earnest approach to running an animation company, he and his team came up with a number of ways to try to ensure his employees didn't lose their mojo, their creativity, their inspiration. This book is a description of the things they tried. What this b In trying to come up with descriptions of how this book is written, I keep thinking of the word "earnest". Ed Catmull, the president of Pixar and Disney Animation, comes across as an earnest guy trying to do the best job he can. And as part of his earnest approach to running an animation company, he and his team came up with a number of ways to try to ensure his employees didn't lose their mojo, their creativity, their inspiration. This book is a description of the things they tried. What this book isn't is a how-to book. This focuses on giving examples of what Pixar tried, how they approached issues, and how they tried to spread the best of Pixar to Disney Animation. In telling this story, Catmull tells the story of his life in animation and of Pixar. I really enjoyed the story of the company, and in particular how Steve Jobs influenced the company and how he added his touch. Jobs seems to have been a unique personality in business, so I don't find these interactions to be examples of best practices, but they are very interesting. You get a little of the "bad Steve" that felt like the core of Issacson biography, but you also get Catmull's defense of Jobs and his earnest belief that Jobs truly grew in the years he owned Pixar. This felt like two books. 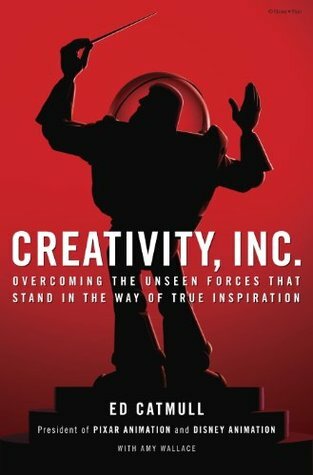 Roughly a third of this book is related to stories about Pixar the company and their movie products, while the remaining two thirds are stories about how creativity is nurtured there. I would gladly read a full book about the companies and movies, and I hope Catmull or someone else writes one. The creativity stories are also of interest, and Catmull earnestly shares details of company meetings, programs, and policies that were tried, as well as his personal thoughts about how things should work. I appreciated the thought process descriptions, although I didn't necessarily find any of the examples earth shatteringly novel. Some examples of topics discussed are research trips for animators, having teams of expert reviewers that provided advice that didn't need to be followed, keeping company culture during a merger, and using a work day for the entire company to investigate issues to growth. Certainly interesting, but not in the "Here's how YOU do it" way. After reading this, I've added to my todo list that I need to watch the Disney Animation movie "Bolt", which is part of the story in this book and which I had previously missed. I think I've seen the others that are mentioned. Edwin Earl “Ed” Catmull (n. 1945), doutorado em ciência da computação pela Universidade do Utah, é co-fundador, juntamente, com Steve Jobs e John Lasster, da Pixar Animation Studios e presidente da Walt Disney Animation Studios e da Pixar Animation Studios. ”Criatividade”, com o subtítulo ”Como Vencer as Forças que Bloqueiam a Inspiração” é um livro escrito por Ed Catmull em parceria com a jornalista Amy Wallace. Nos últimos vinte anos “assisti” a todos os filmes (incluindo, as curta-metragens) produzidos e realizados pela Pixar; destaco ”Toy Story” por ser o primeiro filme, com um “elenco” absolutamente inesquecível. Ao longo do livro Ed Catmull declara de uma forma primorosa, que independentemente dos inúmeros sucessos da Pixar, os “falhanços” e os “medos” inerentes ao processo criativo também acontecem; revelando que de uma forma hábil e firme se pode e deve discutir de um modo aberto e sincero, as origens e os fundamentos desses percalços, que devem ter e fornecer um feedback constante, para que não se repitam no futuro. A genialidade de Ed Catmull e da sua equipa reside, essencialmente, no modo e na forma, como projectaram no início uma tecnologia diferenciadora e inovadora, que permitiu à Pixar construir um novo “conceito” no domínio da computação gráfica, tecnologia que catapultou a empresa para a hegemonia tecnológica, a que se associou um conjunto de argumentista e realizadores, uma equipa multidisciplinar, que souberam implementar uma dinâmica complexa, assente na criatividade e na liderança. ”Criatividade” é um livro excepcional – cada frase tem um contexto e encerra um conceito e uma ideia subjacente - que nos ensina como o processo criativo, assente numa admirável capacidade de liderança e de diálogo, com passos concretos e repetíveis, alicerçados uma abordagem inovadora, pode maximizar as qualidades intrínsecas de cada um dos intervenientes, num trabalho de uma equipa multidisciplinar e criativo. I want a manager like Ed Catmull. His way of looking at the full picture is mesmerizing. He does not just look at a single problem or a mistake, but all the pieces that lead to it. He'll change an entire process of creating before he blames the one person who made the mistake to guarantee it won't happen again. I loved the simple changes he made of not assigning seats because it made those in the back of a conference room feel less important and therefore were less likely to share their ideas. H I want a manager like Ed Catmull. His way of looking at the full picture is mesmerizing. He does not just look at a single problem or a mistake, but all the pieces that lead to it. He'll change an entire process of creating before he blames the one person who made the mistake to guarantee it won't happen again. I loved the simple changes he made of not assigning seats because it made those in the back of a conference room feel less important and therefore were less likely to share their ideas. He did away with the long narrow table and the name plates and continually changed things till he achieved optimal results. He has an open mind and a broad view of things that is inspiring. This book wasn't what I expected but it worked. I really liked this. The author, co-founder of Pixar, is extremely passionate about animation and he lets you know the huge role he played in the way computer animation has changed the old way of doing things. I found it funny that the old guys at Disney didn't even want to give computer animation and also computer editing, a courtesy nod, because they knew their craft (the old way) and didn't want to change. I think they completely missed the boat This book wasn't what I expected but it worked. I really liked this. The author, co-founder of Pixar, is extremely passionate about animation and he lets you know the huge role he played in the way computer animation has changed the old way of doing things. I found it funny that the old guys at Disney didn't even want to give computer animation and also computer editing, a courtesy nod, because they knew their craft (the old way) and didn't want to change. I think they completely missed the boat, but with that being said, Disney now owns Pixar, so I guess it all worked out for them. Pixar has created so many memorable characters, that my kids have grown up loving. So I applaud Pixar for its tenacity in doing what it needed to do to survive and for the co-founders who fought for their dream. Reading this book was like sitting down and talking with a beloved father/ mentor. I feel like I've been through such an incredible journey. I've learnt so much, not just about Pixar and the ingenious creative process, but also about human dynamics, how to think about and treat people who work with and for you, and also the reasons behind all of those things ... and why they are so important, from a business perspective, but also from the human perspective! I feel like I have taken away so much f Reading this book was like sitting down and talking with a beloved father/ mentor. I feel like I've been through such an incredible journey. I've learnt so much, not just about Pixar and the ingenious creative process, but also about human dynamics, how to think about and treat people who work with and for you, and also the reasons behind all of those things ... and why they are so important, from a business perspective, but also from the human perspective! It starts off slowly, but this book turned out to be one of the most fascinating reads. Besides the incredibly interesting process behind Pixar’s evolution and the creation of animated films, the amazing way that this company cultivated a culture of communication and creativity is inspiring. I’d love to see some of these strategies applied with education. I started reading this book on a whim this morning, and couldn't put it down. I had borrowed an e-book from the library, but I've just bought a paperback and intend to re-read when it arrives. A fuller review to come after that. Inspiring story of an amazing company. Read it! Increíble, un libro totalmente enriquecedor. Te transmite muchísimo, creo que hacia el final del libro ya tienes un millón de notas jajajaa. He aprendido un montón, había escuchado alguna que otra cosa sobre la historia de pixar, pero ahora me siento mucha más cercana a ella, después de leer este libro excelente y contado desde primera persona ,lo que lo hace un más especial, debido a que lo vemos a través de su experiencia y de su recorrido, cómo vivió él todo esos años y cómo se desarrollaro Increíble, un libro totalmente enriquecedor. Te transmite muchísimo, creo que hacia el final del libro ya tienes un millón de notas jajajaa. He aprendido un montón, había escuchado alguna que otra cosa sobre la historia de pixar, pero ahora me siento mucha más cercana a ella, después de leer este libro excelente y contado desde primera persona ,lo que lo hace un más especial, debido a que lo vemos a través de su experiencia y de su recorrido, cómo vivió él todo esos años y cómo se desarrollaron las cosas para llegar a ser la empresa que son ahora, que construyen unas películas maravillosas, es magnifico, principalmente porque nunca me hubiese esperado nada de lo que se cuenta en el libro. Va más allá de tener una idea, se habla sobre el ámbito de trabajo, cómo debe ser el ambiente, cómo dirigir una empresa, lo importante que es la unión, que cada uno de los empleados tenga una voz que pueda ser escuchada, que pueda aportar cosas buenas, críticas, ideas. La importancia de la unidad entre todos, no hay mejores puestos que otros, todos los trabajos tienes su valor y su lugar en la empresa. Y muchas cosas más, no sólo se trata de crear las mejores películas, lo que también importa es lo de adentro y como se gestiona, en fin... Podría decir muchísimas cosas de este libro, sinceramente no tenía muchas expectativas sobre él, a veces lees algo que se refiere a un tema parecido y no te atrae demasiado, pero a mi esté libro en especial me encantó. I have a deep bias for Pixar so I don't know if I can do this review fairly. This book was written by Ed Catmull, one of the founders and president of Pixar Animation Studios. First off the book is very businessminded. It talks about how to lead others and how to create a situation that in turn fosters creativity. Pixar is known for its special mindset concerning treatment of employees and how to make everyone feel special and important. That stuff is great, but that's not why I read this. If on I have a deep bias for Pixar so I don't know if I can do this review fairly. First off the book is very businessminded. It talks about how to lead others and how to create a situation that in turn fosters creativity. Pixar is known for its special mindset concerning treatment of employees and how to make everyone feel special and important. That stuff is great, but that's not why I read this. If one day I'm thrust in a leadership position I will reflect on this book and how to act. But as for right now, I only know how the bottom of totem poles look. There are two other things this book covers. How to tell a story and the history of Pixar. Both of which interest me a great deal. And damn does Catmull deliver on both fronts. The history of Pixar is mostly anecdotal besides the major moments. You don't get an in depth analysis of the making of every film. And the how to tell a story isn't a detailed breakdown of what makes some stories work and others fail. In fact all three parts aren't particularly able to be separated. What ends up occurring is a fantastic combination of the three. For instance, Catmull talks about 'The Brain Trust' a panel created to view films in progress and the purpose of the panel is to impart constructive criticism and what was liked. Nothing said in the panel is law and does not have to be adhered by the director but allows him to pull back and see the film as other creative's would. This process which I've butchered in description here led to moments like Anton Ego's speech in Ratatouille, the ending of Wall-E and the opening of up. Catmull talks about various directors and creative's at Pixars outlooks on creation. Some of which, especially Pete Doctor's fail early and fail often, are fascinating approaches to storytelling and making sure that the final product is something special. This book nails every mark that it strives and in the end it's certainly more on the business advice side than anything else, but I definitely enjoyed that and found what I came for in the rest. What especially surprised me was Job's presence in the book. The way Catmull talks about him and the story he imparts. I always found Steve Jobs kind of detestable despite being a necessary figure in Pixar, something I absolutely adore. I always find Job's love of design over technology infuriating and his products through Apple, overly expensive glossy pieces of Jewelry that hold public sway because of savvy marketing rather than technological prowess, as infuriating. I always hated him for reported treatment of those who essentially built him, Woz and others at early Apple. But dammit if this book didn't make me love him. Him saying that one day everything he made at Apple will end up in dumpster but the stories told by Pixar will live forever. His unwillingness to give up on them. His pride over them. And his willingness to give them the autonomy and freedom needed to create the masterpieces they've made. And by the time I finished the book and Catmull starts talking about Jobs' death I found myself getting a little teary eyed. For what he had done and for who he was and the legacy he left behind. Young Steve Jobs was a bit of an asshat but his willingness to be wrong and to change to fit his newly perceived wrongness as expressed through this book made me love him. Something I never thought I'd say. Anyway if you're a pixar nut there's a lot for you here. If you're a manager of some sort there is an absolutely ton for you here. And if you're a storyteller, then you should really just check this book out. Or if you're just a person with a pulse, honestly. It's really good and even the business stuff can be applied to your life in various means. I can't tell if Creativity, Inc: Overcoming the Unseen Forces That Stand in the Way of True Inspiration belongs more in management, inspiration, self-help, or fodder for fans. What I can say, though, is that I loved reading it. Though he was born in West Virginia, Ed Catmull moved to Utah as a child and was raised in neighborhoods near my own. Despite interests in animation, during college at the University of Utah, he became pursued at talent in math and studied physics and computer science. Eve I can't tell if Creativity, Inc: Overcoming the Unseen Forces That Stand in the Way of True Inspiration belongs more in management, inspiration, self-help, or fodder for fans. What I can say, though, is that I loved reading it. Though he was born in West Virginia, Ed Catmull moved to Utah as a child and was raised in neighborhoods near my own. Despite interests in animation, during college at the University of Utah, he became pursued at talent in math and studied physics and computer science. Eventually, this led him to a graduate degree under Ivan Sutherland, the "father of computer graphics," also at the University of Utah. Decades before computer animation was a thing, Catmull began developing the programming to do 2D and 3D programming. During this time, he found himself recruited to work at Lucasfilm, becoming vice president of Industrial Light and Magic's computer graphics division until 1986 when a guy named Steve Jobs bought it up and started Pixar. Catmull became Chief Technical Officer...and the rest is history. Okay, that's probably a gross summary of Catmull's path to Pixar, but it gets us to the point when things get really interesting. A major part of Creativity, Inc. is Catmull's anecdotes about the process of developing some of the biggest cartoons--or movies--in recent decades. It's a combination of management and creativity, and leveraging good management practices to help people access their most creative solutions and abilities, that made Pixar great. Catmull, who has an engaging and magnetic story telling ability, uses different obstacles the company ran into throughout his career to show how creativity can be unleashed. Another very interesting aspect of the story is hearing Catmull's perspective on working with Steve Jobs. Never an easy person to work with, Jobs' story has been thoroughly told elsewhere. But Catmull comes with a perspective of someone who needed Jobs, but was also needed by Jobs...and together they succeeded. Even though it is only a small portion of the larger story, it's a fascinating piece. The book is presented as a “how to” on inspiring a creative culture and doing away with anything that hinders the creative process. While giving a great behind-the-scenes look at the production steps that went into favorite animated films, it also provides some valuable tidbits of advice for leaders. * Encourage all employees to express themselves freely w The book is presented as a “how to” on inspiring a creative culture and doing away with anything that hinders the creative process. While giving a great behind-the-scenes look at the production steps that went into favorite animated films, it also provides some valuable tidbits of advice for leaders. My first book of 2017 is done!! This was a great book to kick this year off. By the end I was getting quite emotional. (The final chapter of the book is a tribute to Steve Jobs and all he did for Pixar.) It's such a breath of fresh air to hear stories from such an amazing leader. How Ed fostered creativity and created a safe haven for honesty was truly revolutionary. I loved hearing the stories behind some of the movies. All in all, a fantastic book about what it means to lead and learn. Fun (if obvious) insights into the Pixar story including a few entertaining Steve Jobs cameos! Main take-aways for me were the bits on candor and the "brain trust". Great book, helps you think HUGE !!! Like many of you, I've been a big fan of Pixar. The way they have built a staff culture that pushes against the status quo allowing them to pursue new and innovative ideas is inspiring. This book helps unlock the secret to how they achieve this and how they empower leaders to accomplish it. I highly recommend this book to any person currently breathing. Here are a few of my takeaways from Ed Catmull, CEO of Pixar, the author of Creativity, Inc.
* In big organizations there are adva Like many of you, I've been a big fan of Pixar. The way they have built a staff culture that pushes against the status quo allowing them to pursue new and innovative ideas is inspiring. This book helps unlock the secret to how they achieve this and how they empower leaders to accomplish it. I highly recommend this book to any person currently breathing. * In big organizations there are advantages to consistency, but I strongly believe that smaller groups within the larger whole should be allowed to differentiate themselves and operate according to their own rules, so long as those rules work. * What makes Pixar special is that we acknowledge we will always have problems, many of them hidden from our view; that we have to work hard to uncover these problems, even if doing so means making ourselves uncomfortable; and that, when we come across a problem, we marshal all of our energies to solve it. * One of the most crucial responsibilities of leadership is creating a culture that rewards those who lift not just our stock prices but our aspirations as well. * The goal is to uncouple fear and failure -- to create an environment in which making mistakes doesn't strike terror into your employees' hearts. * Rather than trying to prevent all errors, we should assume, as is almost always the case, that our people's intentions are good and that they want to solve problems. Give them responsibility, let the mistakes happen, and let people fix them. If there is fear, there is a reason - our job is to find the reason and to remedy it. Management's job is not to prevent risk but to build the ability to recover. * When in doubt, empower your people. * Braintrust meetings are sessions where directors present to a group of people the latest concept and direction of the movie in process. Candor is required. * To understand what the Braintrust does, you have to start with a basic truth: People who take on complicated creative projects become lost at some point in the process. It is the nature of things - in order to create, you must internalize and almost become the project, and that near-fusing with the project is an essential part of the it emergence. But it is also confusing. Where one a director had perspective, they lose it. All directors become lost somewhere along the way. That creates a problem for those who seek to give helpful feedback. How do you get a director to see a problem that cannot see? The key is to help directors see that the film is under the microscope -- not the filmmaker. YOU ARE NOT YOUR IDEA, AND IF YOU IDENTIFY TOO CLOSELY WITH YOUR IDEAS, YOU WILL TAKE OFFENSE WHEN THEY ARE CHALLENGED. * When people in creative professions merely cut up and reassemble what has come before, it gives the illusion of creativity, but it is craft without art. Craft is what we are expected to know; art is the unexpected use of our craft. *Research trips challenge our preconceived notions and keep cliches at bay. They fuel inspiration. They are what keeps us creating rather than copying. GET OUT OF THE OFFICE!!!!! * Andrew Stanton on the creative process: If you're sailing across the ocean and your goal is to avoid weather and waves, then why the hell are you sailing? You have to embrace that sailing means you can't control the elements and that there will be good days and bad days and that, whatever comes, you will deal with it because your goal is to eventually get to the other side. You will not be able to control exactly how you get across. That's the game you've decided to be in. If your goal is to make it easier and simpler, then don't get in the boat." * To keep a creative culture vibrant, we must not be afraid of constant uncertainty. We must accept it, just as we accept the weather. Uncertainty and change are life's constants. And that's the fun part.